Installing Viber desktop on your Mac is really simple BUT won't work on MAC OSX Yosemite Beta 1 yet. Much the same as whatever possible application, it comprises of few steps. For this situation, steps are extremely straightforward. Just like any other application, it consists of few steps. In this case, steps are very simple. But before you start installing it on the computer make sure you meet the system and hardware requirements. And yes, you must have Viber installed on your mobile first to be able to use Viber for Mac. Minimum hardware requirement for desktop computers are: dual core processor, 1 GB RAM, microphone and speakers for voice calls, webcam for video calls, AD2P compatible Bluetooth receiver for BT devices. Regarding the OS, it will work on OSX 10.7 and above. OS X Yosemite Beta is not officially supported! 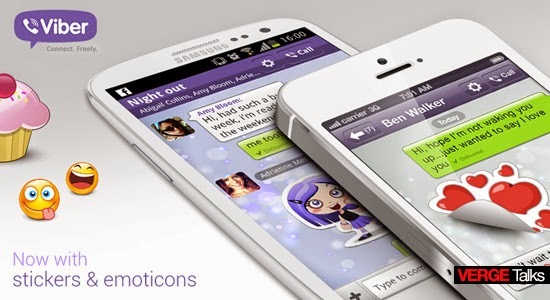 If you plan to upgrade your OS to this version you might expect that Viber will not work properly anymore. Viber for Windows Phone 7, S40/S60 & Bada: do not require a minimum Viber version (partly compatible, might encounter sync issues).